I’ll Be Back At La Bonita Ranch! 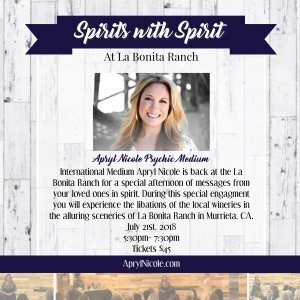 Join International Medium Apryl Nicole for an evening of wine and messages from your loved ones in spirit, at the beautiful La Bonita Ranch located in Murrieta, CA. 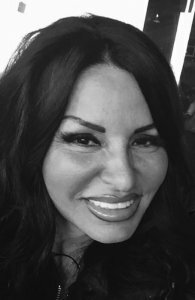 During this event, you will have the opportunity to experience the libations of Pointe Winery in the alluring sceneries of La Bonita Ranch, as Apryl Nicole brings forward your loved one from the beyond.